Synopsis: On the night of April 14th 1865 President Abraham Lincoln was attending a performance at The Ford Theatre, in Washington. A single shot fired by John Wilkes Booth hit the President in the back of the head. He slumped to the floor, and died a few hours later without recovering consciousness. Was Booth a lone assassin? Or was he part of a wider conspiracy? What if Booth had merely been a willing party to a plot to replace Lincoln with General Ulysees S. Grant. Let us suppose that Booth had been set up by a group of men, a group of Lincoln’s own Army Generals; Generals who had wanted Ulysees S Grant for their President, and not Lincoln. And let us also suppose that the funding for the assassination had come from gold stolen by the Confederate Army. 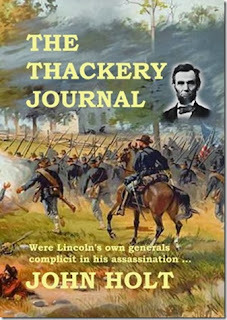 John says: “TheThackery Journal” is a ‘What If’ story set at the time of the American Civil War. It concerns the assassination of President Abraham Lincoln and is told through the pages of the journal of Captain Jacob Thackery of the Confederate Army. The following excerpt is taken from the first chapter of the book. It is set after the war, and after the President has been assassinated. The elderly man is Jacob’s father, and he is reading through the journal, and sets the scene for the story to unfold. The challenge for me was to establish the time period, and the events that occurred very quickly, and very dramatically. 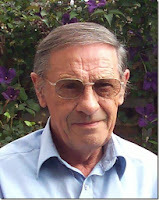 My normal genre is Crime, and I have written four novels featuring my private detective Tom Kendall. ‘The Thackery Journal’ took me way outside my comfort zone. So why did I write it you may ask. The answer isn’t that simple. My first novel “The Kammersee Affair” is about the search for hidden nazi gold. When researching I came across an article regarding confederate gold bullion going missing just as the Civil War was coming to an end. I imagined a scene where the perpetrators had finally been tracked down and their pursuers were closing in – this was to become the final chapter of “Thackery”. That gave me a lead in to chapter one. And there it came to an abrupt stop. I started to write my Kendall novels, occasionally adding something to “Thackery”. I got to the stage where I had three or four good chapters to start, a couple at the end, but very little in the middle. Then about six months ago it all became very clear, and after four years I finished the book in about four months. This is an exciting book with a lot of depth. The plot is original and full of action and the characters are so well drawn. It really should be a huge bestseller!